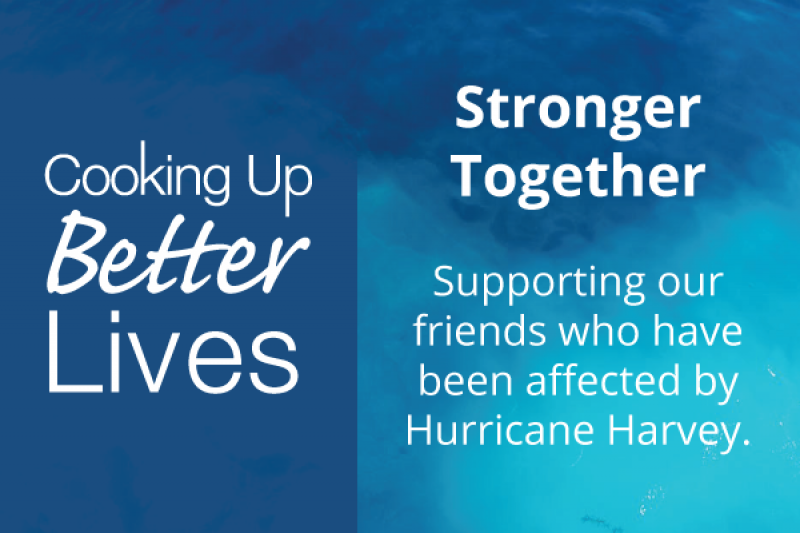 DENVER – September 6, 2017 – Cooking Up Better Lives is calling for donations to support the employees of Excell and NISSCO members who were critically affected by Hurricane Harvey. With the recent devastation, buying group headquarters has learned of many members who have lost their homes, cars, keepsakes and much more…evacuated by boat and now “living” in shelters with their families. Cooking Up Better Lives humbly, yet proudly, asks of you – please take a moment to donate to the affected dealership employees. Every donation impacts the life of one of our partners, no matter if it’s $5 or $500. 100% of the proceeds will be dispersed in 2 weeks-time to those most affected.